An important aspect of making the best of your bathroom space is an adequate and efficient storage solution. Your bathroom storage needs to be useful, effective and should fit into your bathroom space and design seamlessly. 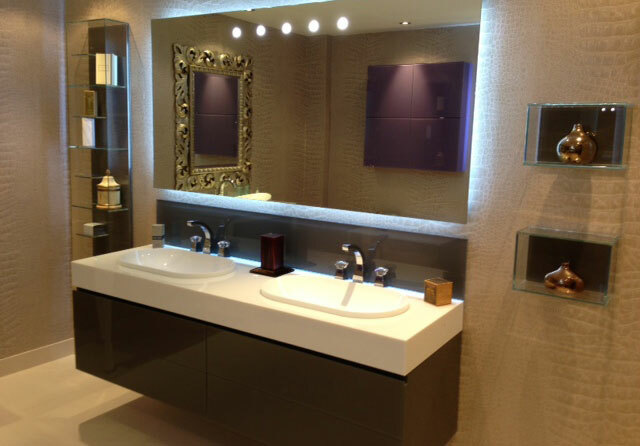 Using bespoke storage solutions can achieve all this as well as providing your bathroom with added aesthetic impact. At Concept Virtual Design, we believe that every single element of your luxury interior design should be attractive and functional, especially something as essential as storage. Every room needs storage of some sort but bathrooms are often neglected in this area. Instead, obtrusive and inefficient cabinets and shelves are attached to walls, or baskets are placed in corners, adding clutter and creating that inevitable ‘dumping ground’ for mismatched items and half-empty beauty products! But not with bespoke bathroom storage – our A3 virtual setting out service helps you to create the right kind of storage for your needs, perfectly incorporating it into your bathroom design. 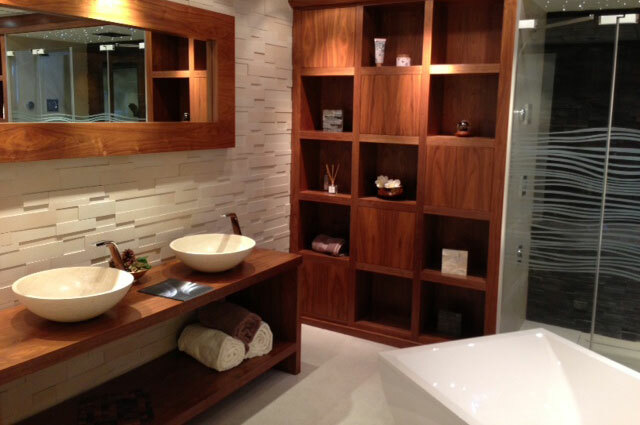 Over the years, we’ve created many different storage solutions for luxury bathrooms, shower rooms and wet rooms – from radiators to recessed shelving, storage seating to overhead storage. We help you to use the shape and dimensions of your room to determine the most effective placement and style for your bathroom storage to maximise floor space and give your bathroom a beautiful, complete look. This entry was posted in Luxury Bathrooms, Luxury Interior Design, Luxury Wet Rooms, Wardrobe and tagged bathroom storage solutions, bespoke bathroom storage, bespoke storage solutions, luxury bathroom design, luxury bathroom storage ideas, luxury interior design, virtual design service, virtual design setting out service. Bookmark the permalink.